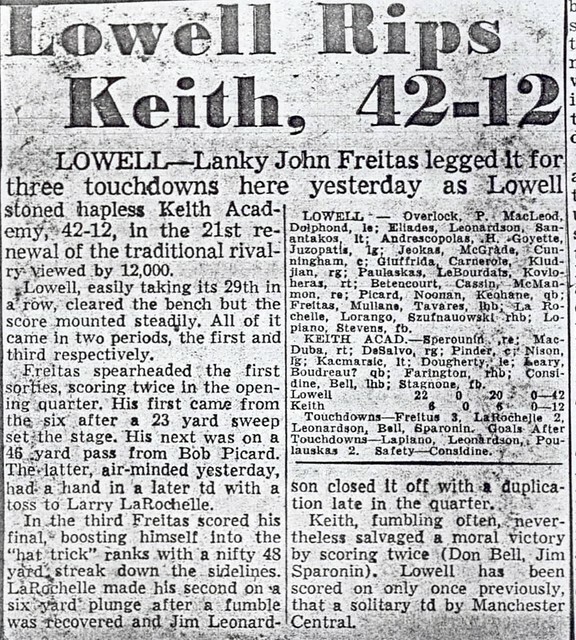 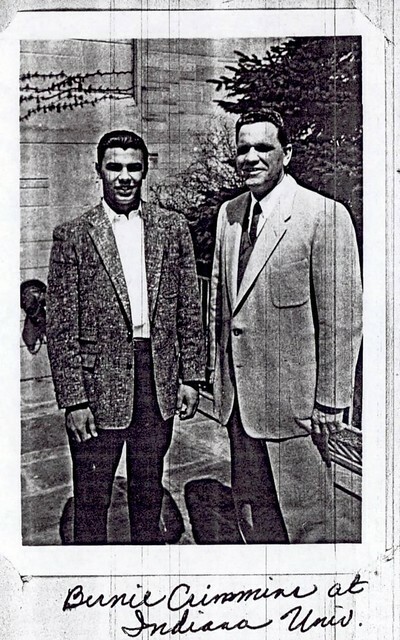 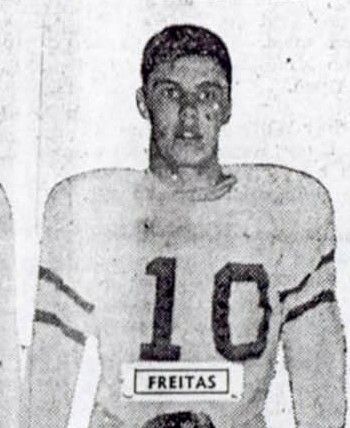 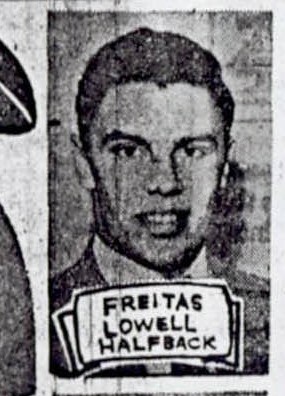 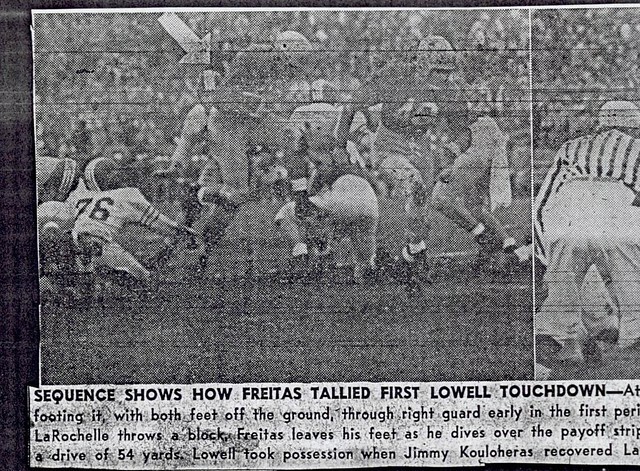 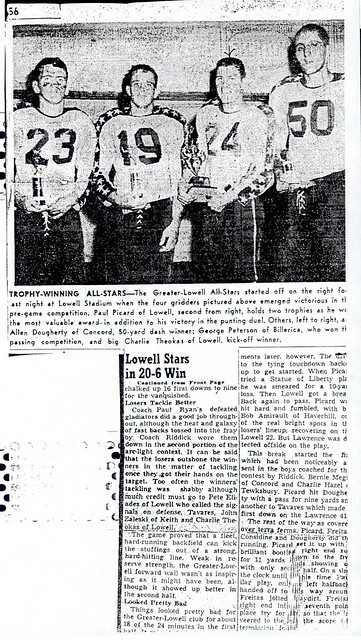 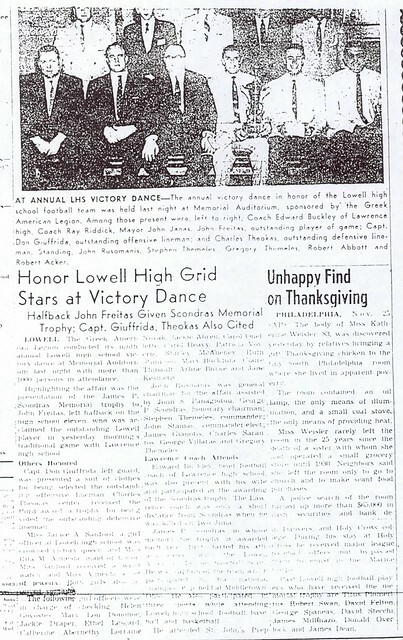 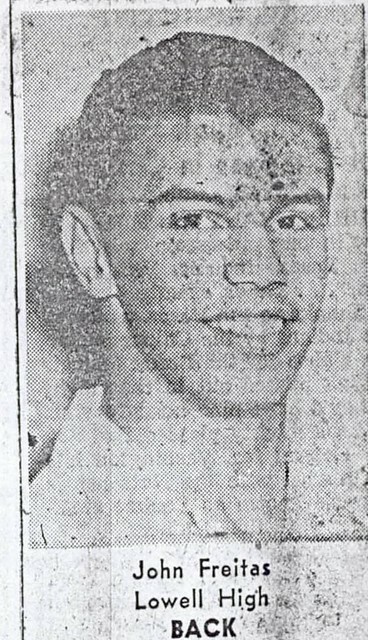 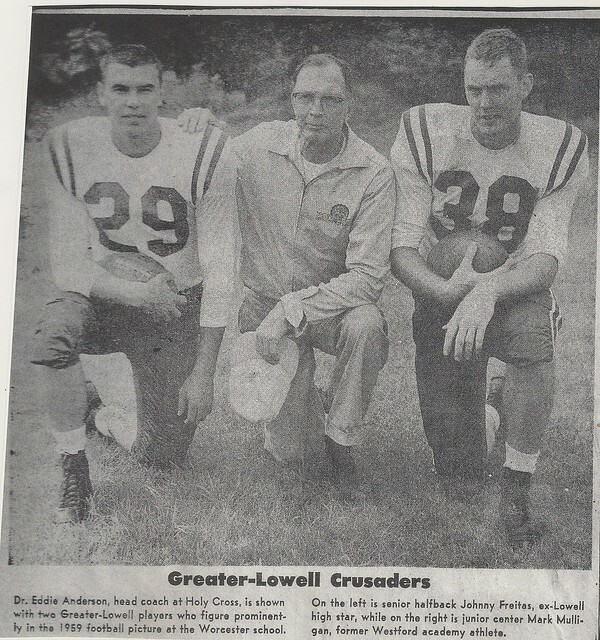 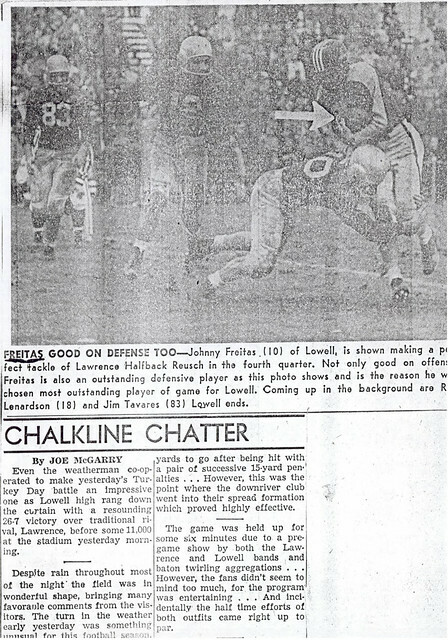 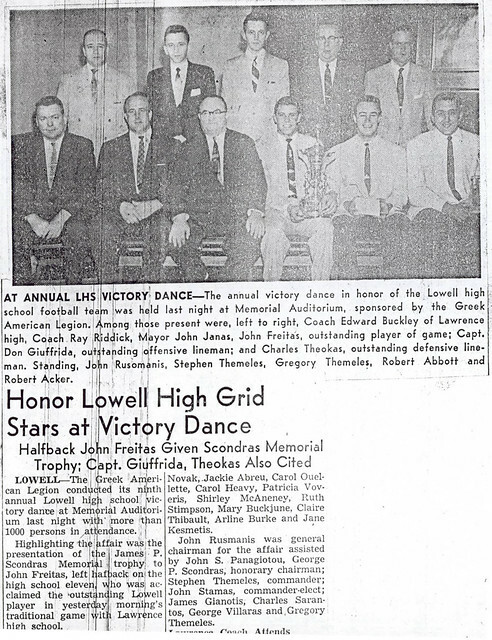 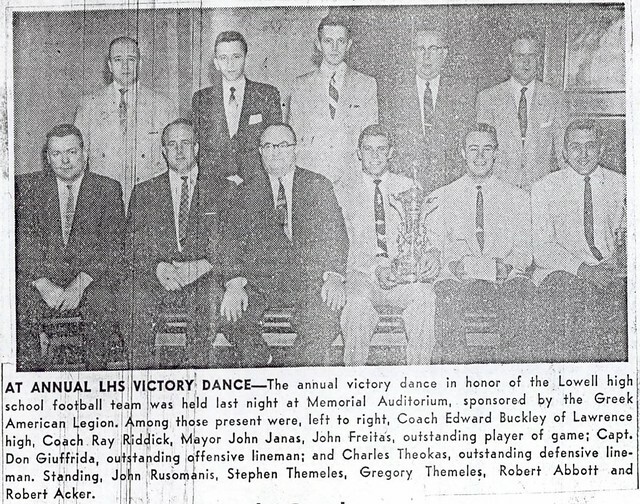 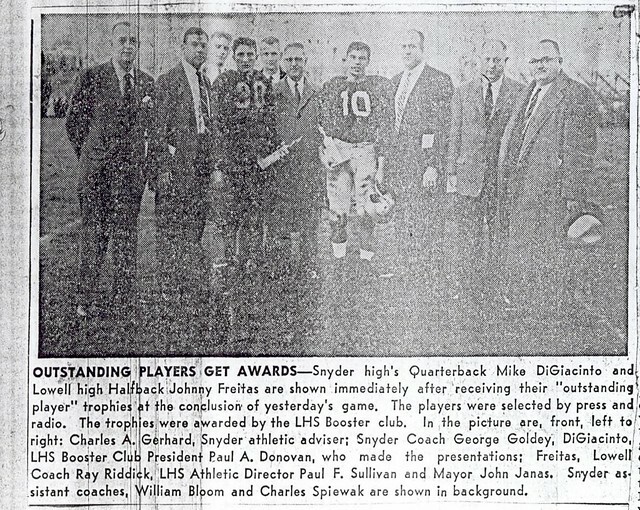 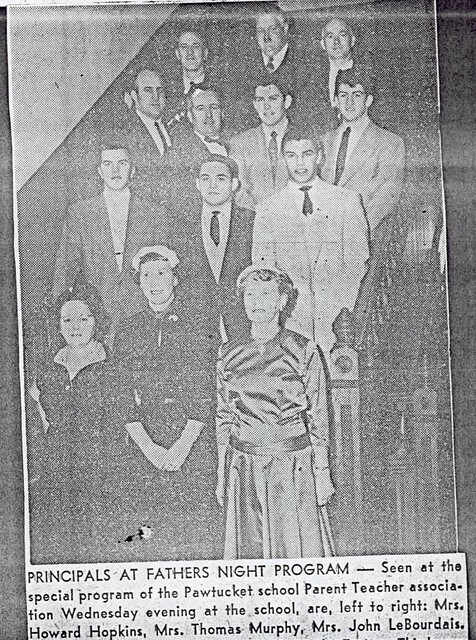 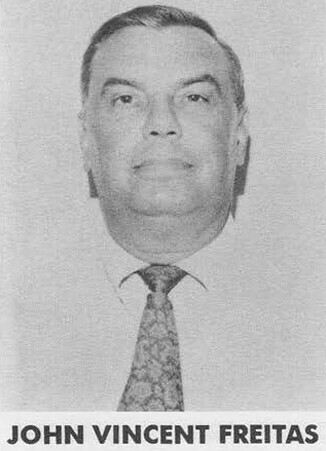 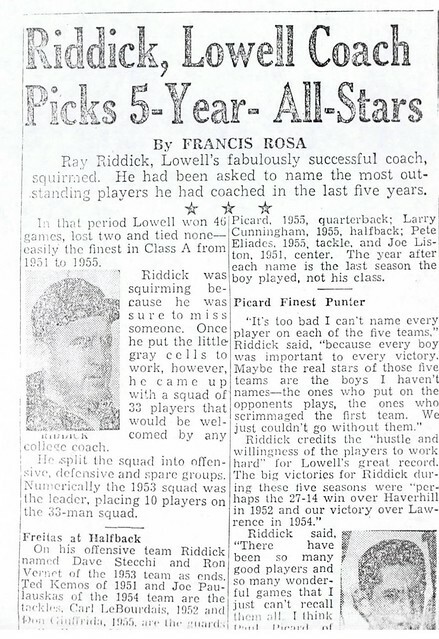 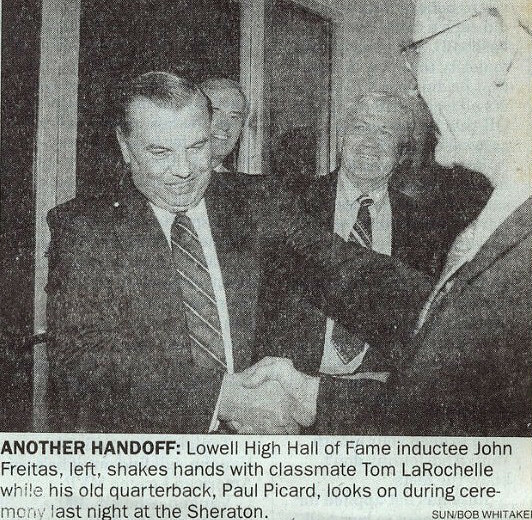 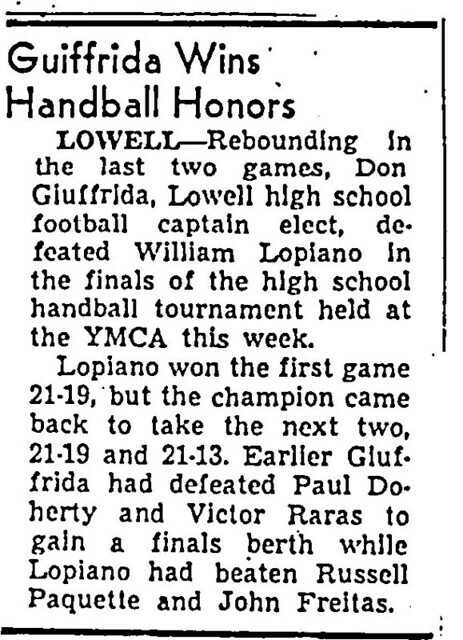 An outstanding two-sport athlete for Hall of Fame Coaches Ray Riddick and George “Mike” Haggerty, John Freitas was one of the true stalwarts of the 1950’s at Lowell High School. 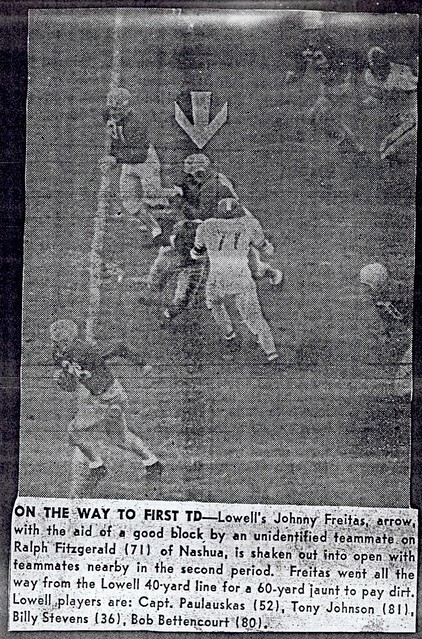 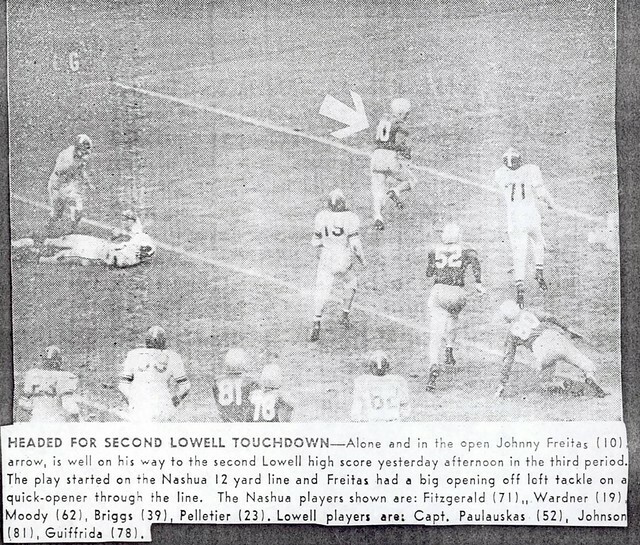 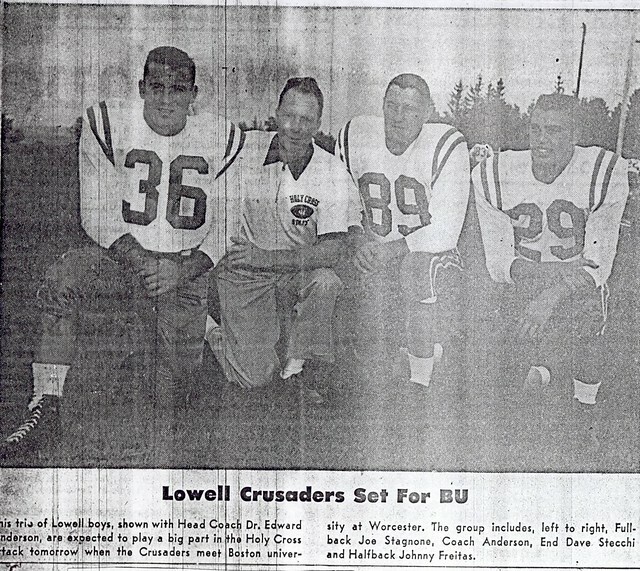 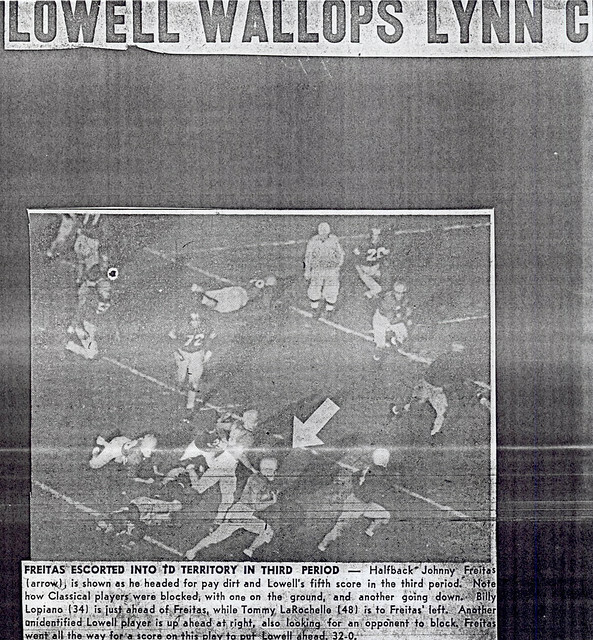 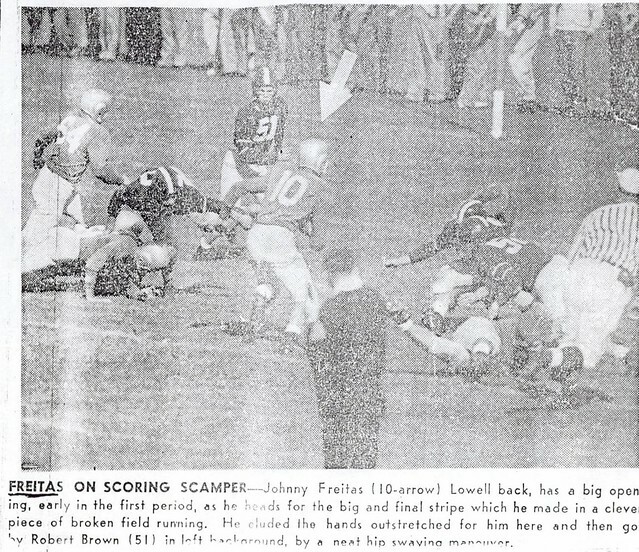 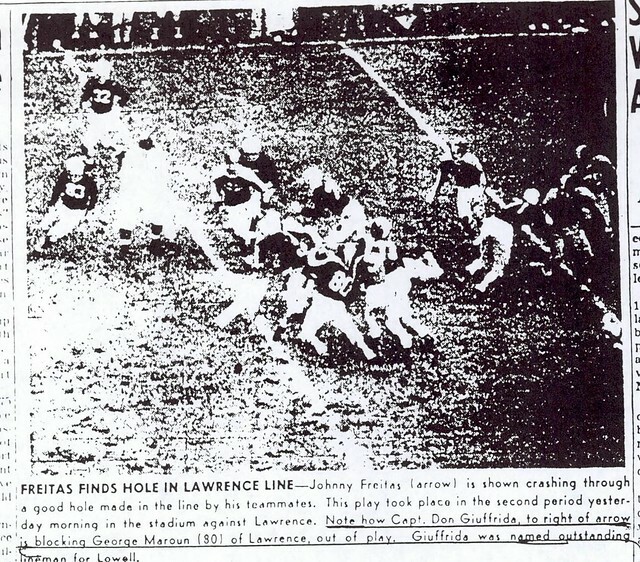 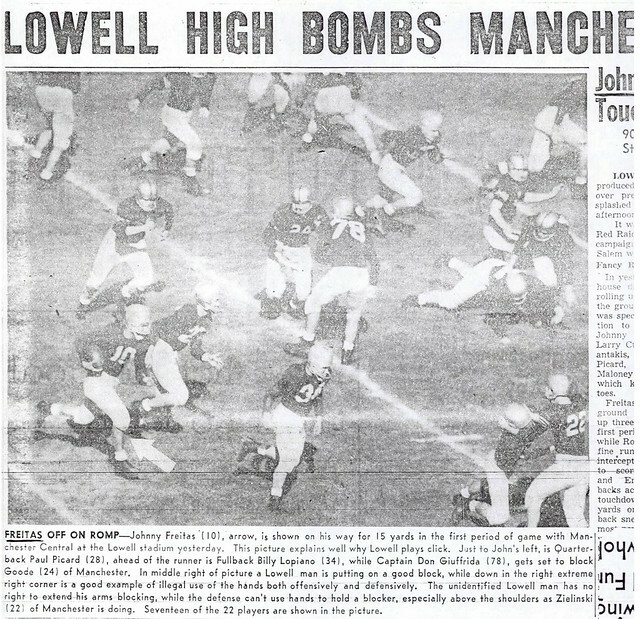 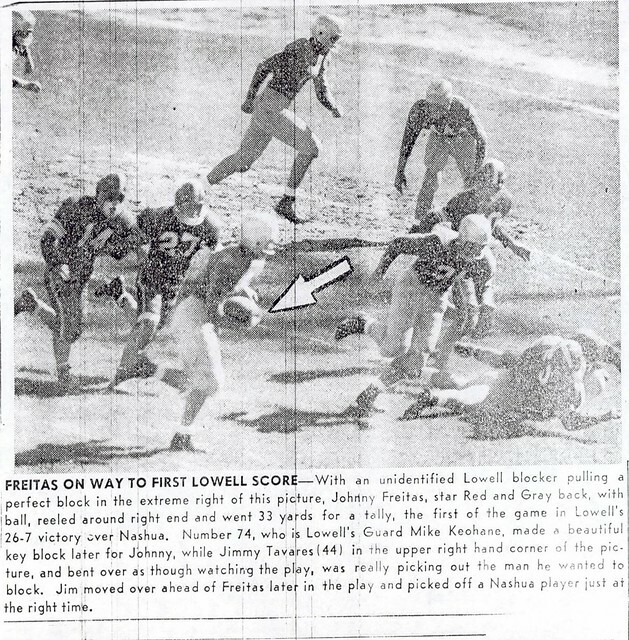 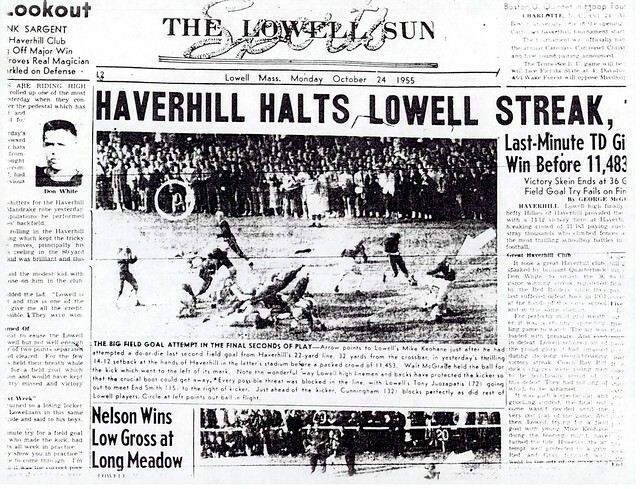 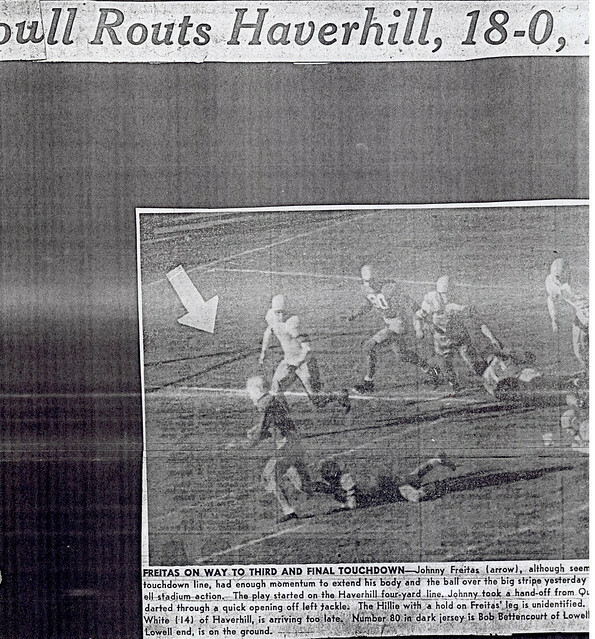 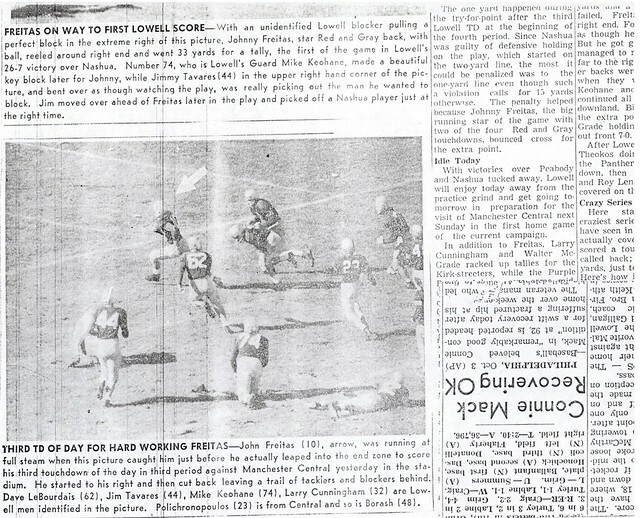 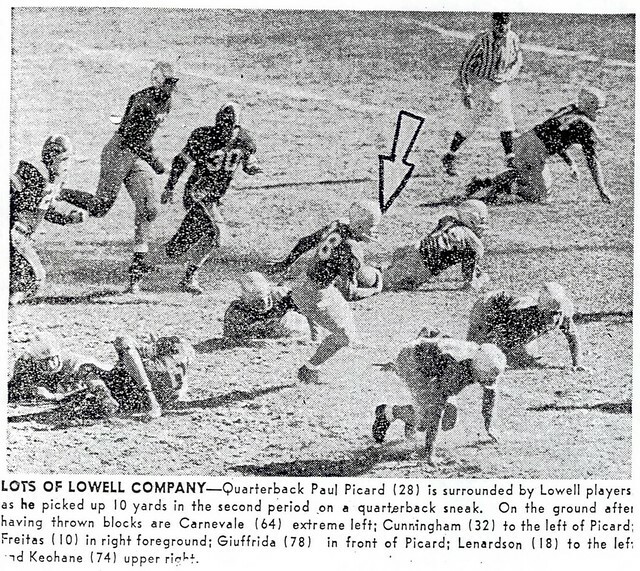 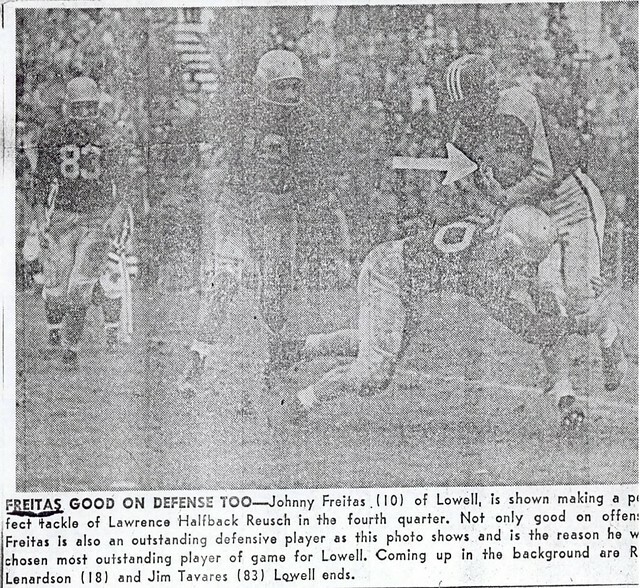 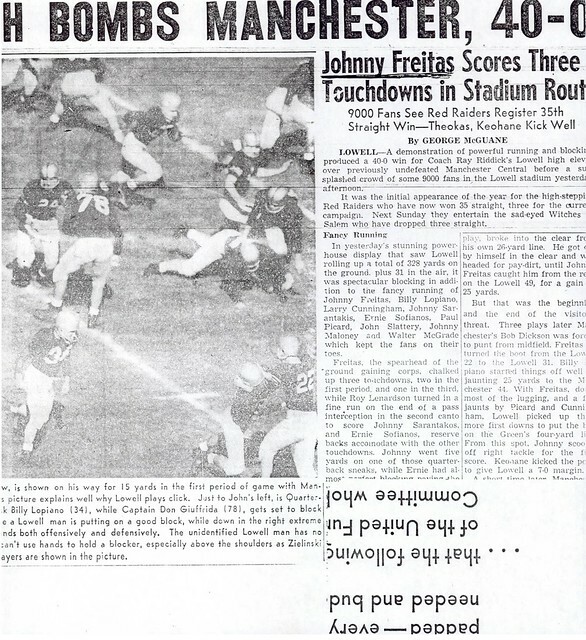 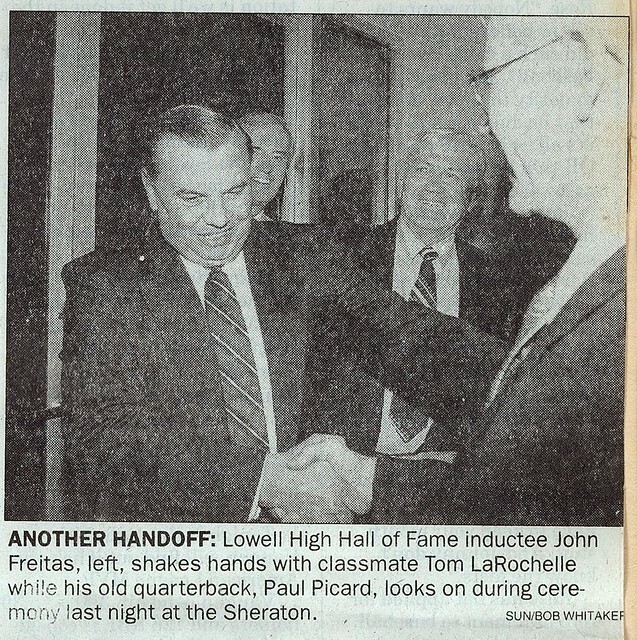 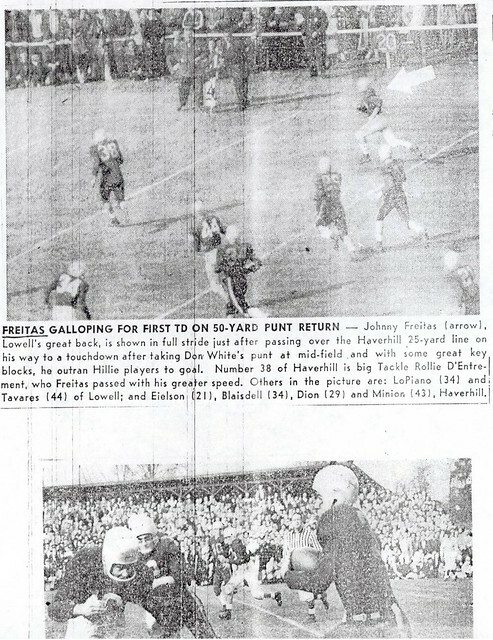 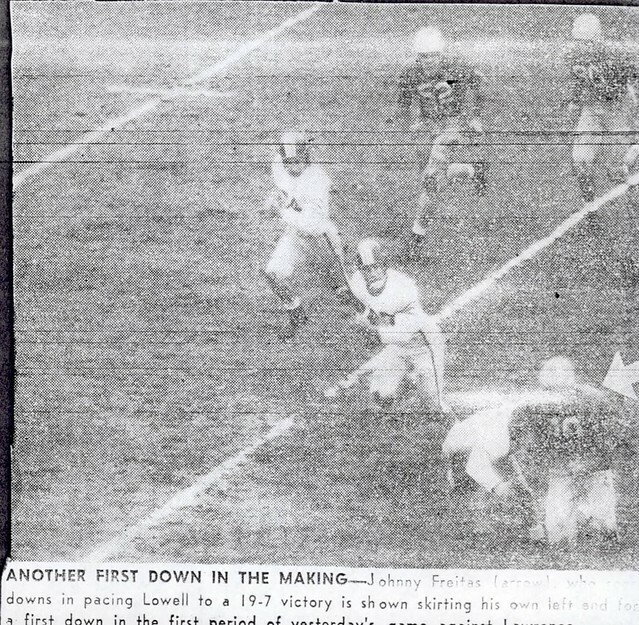 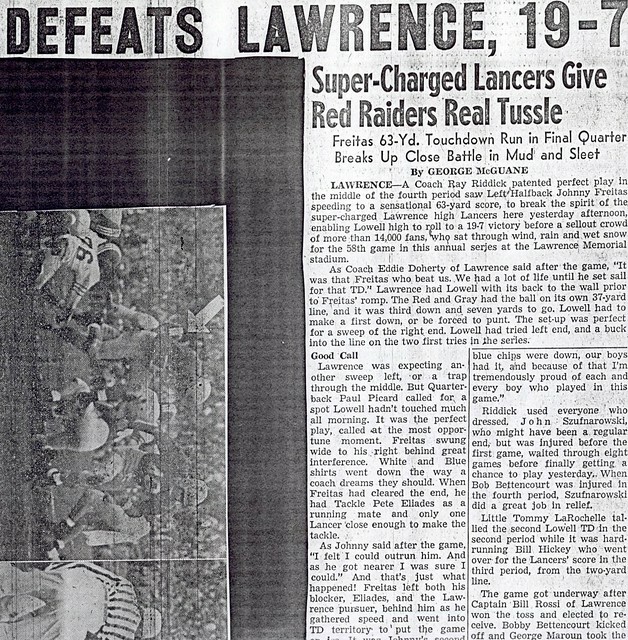 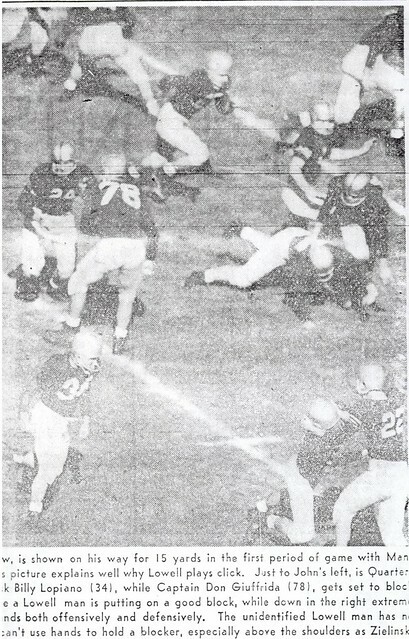 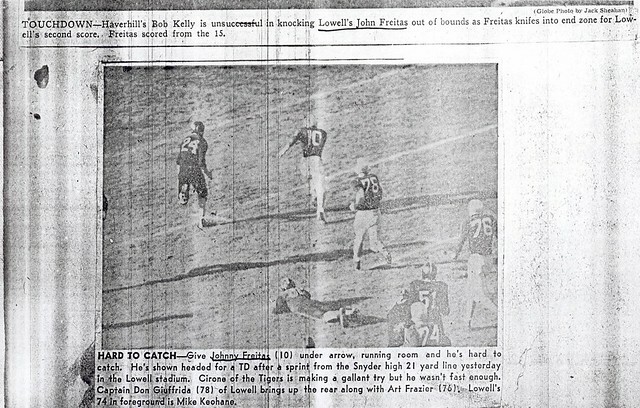 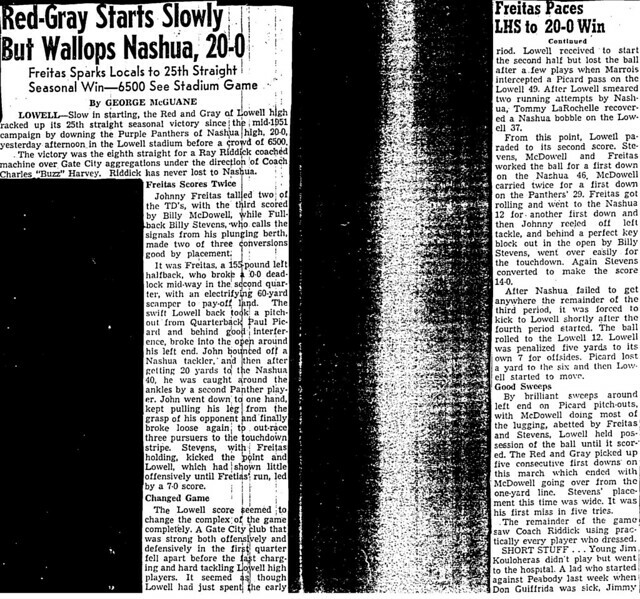 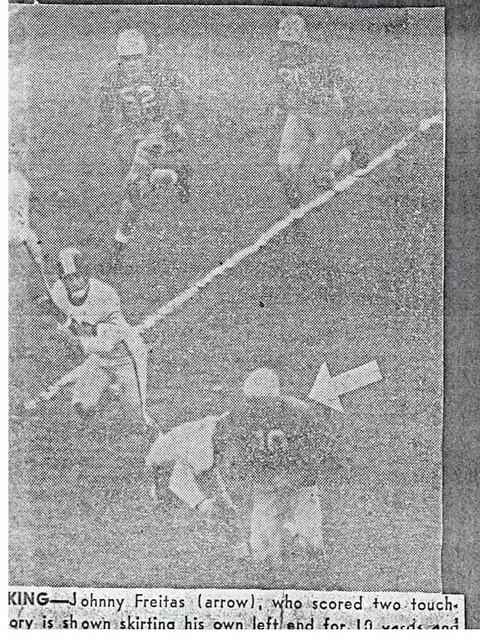 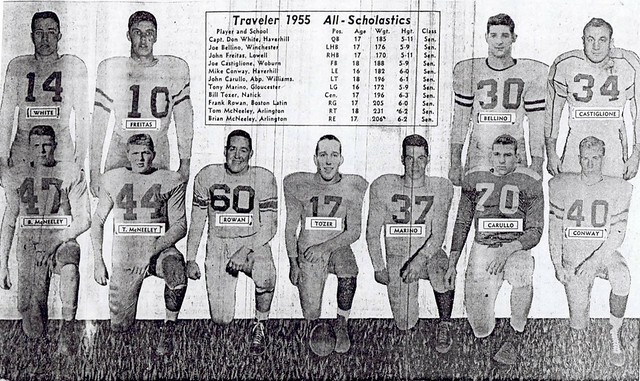 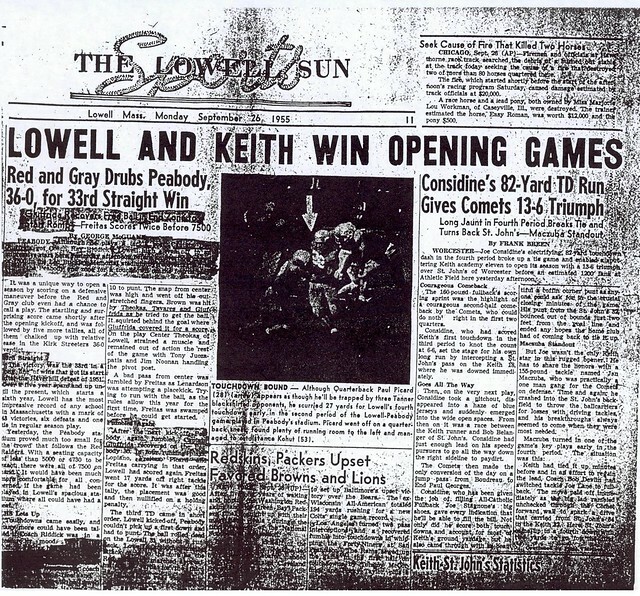 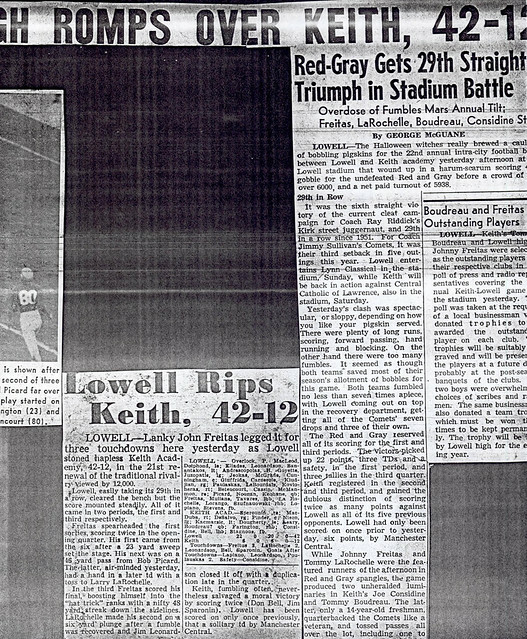 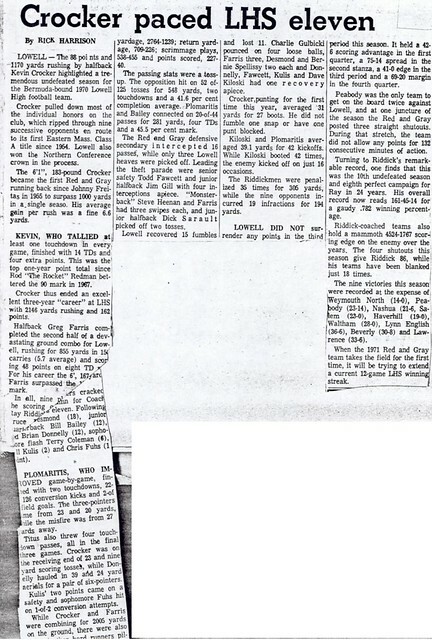 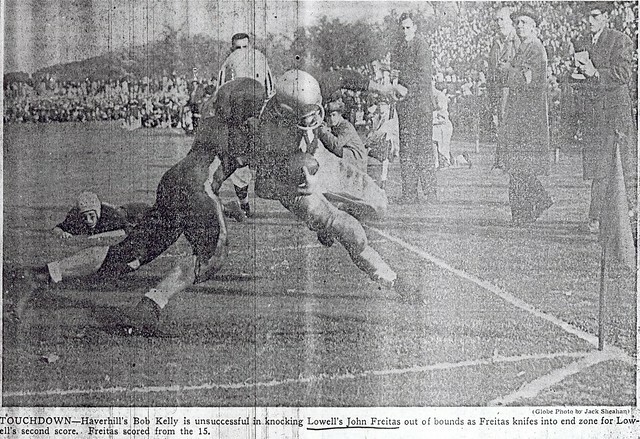 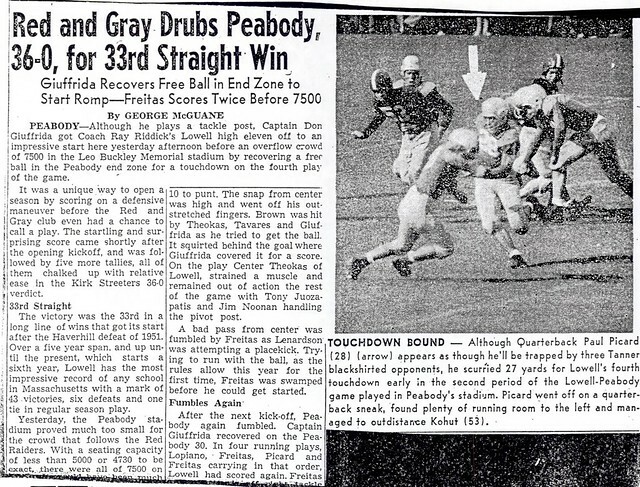 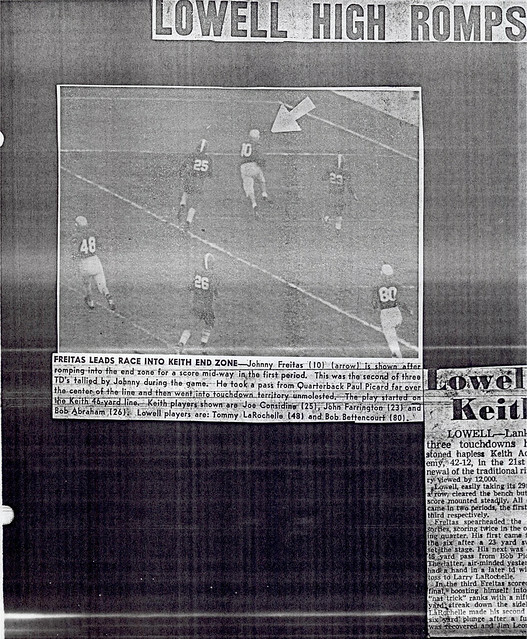 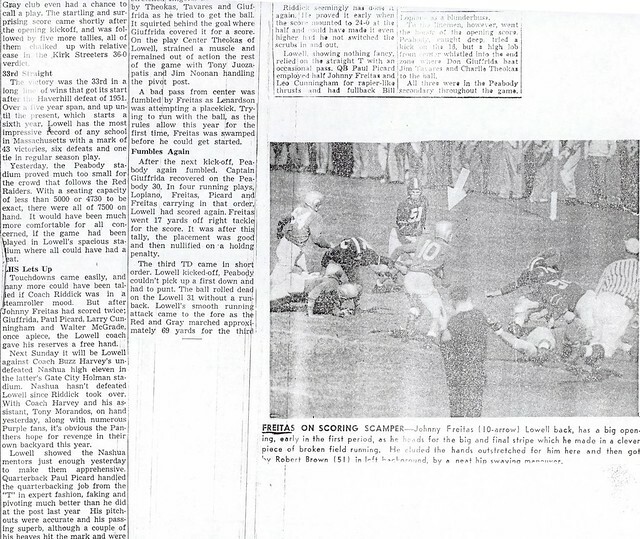 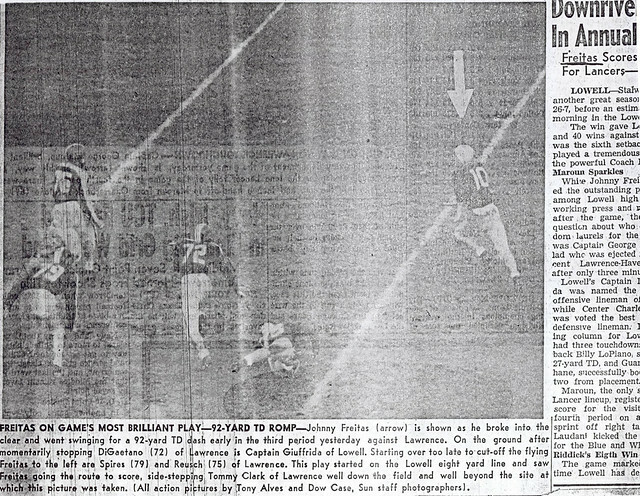 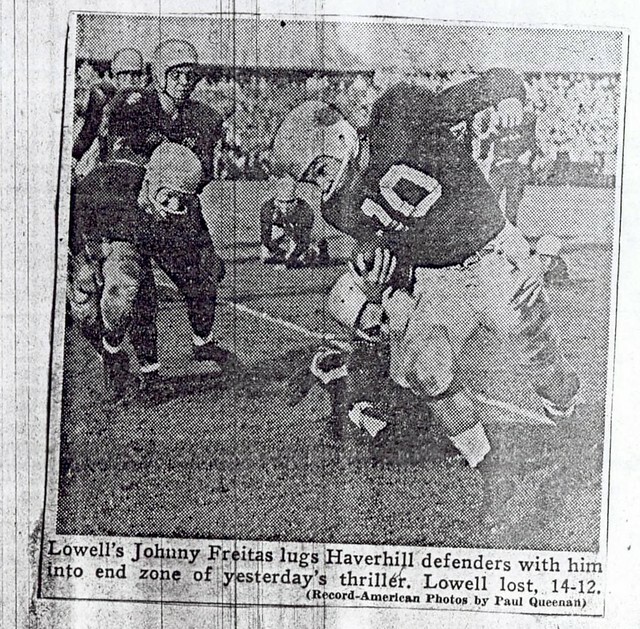 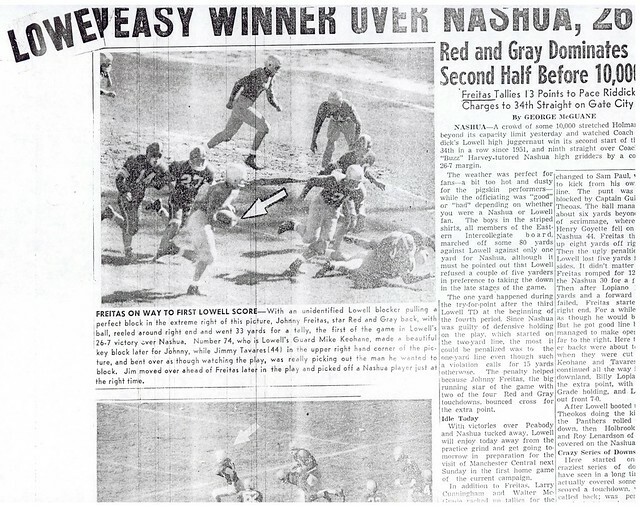 As a speedy halfback for the Red and Gray football machine, John led the way with 16 touchdowns as Lowell won the State Championship in 1954. 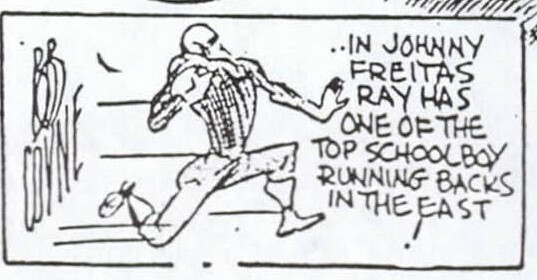 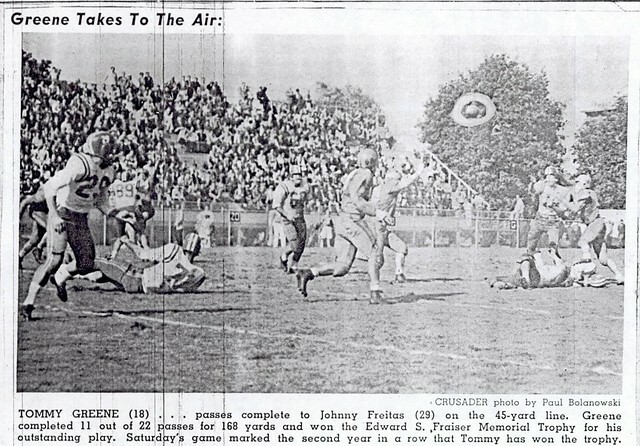 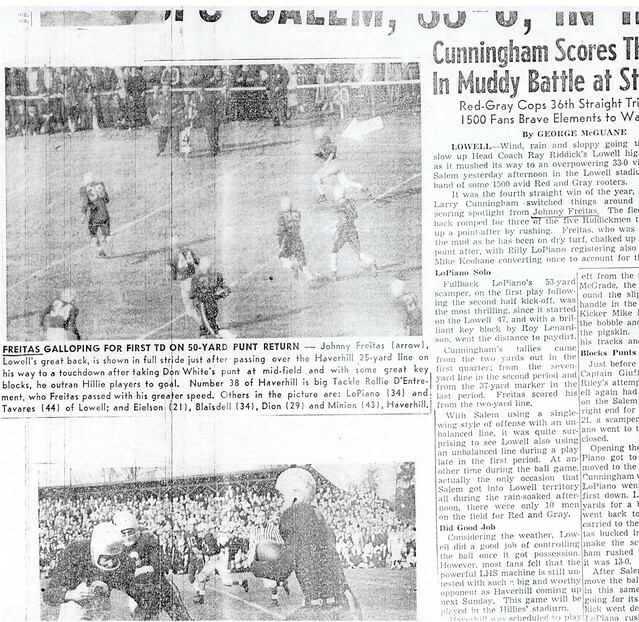 During his senior year (1955), John tallied 15 touchdowns and 5 conversions. 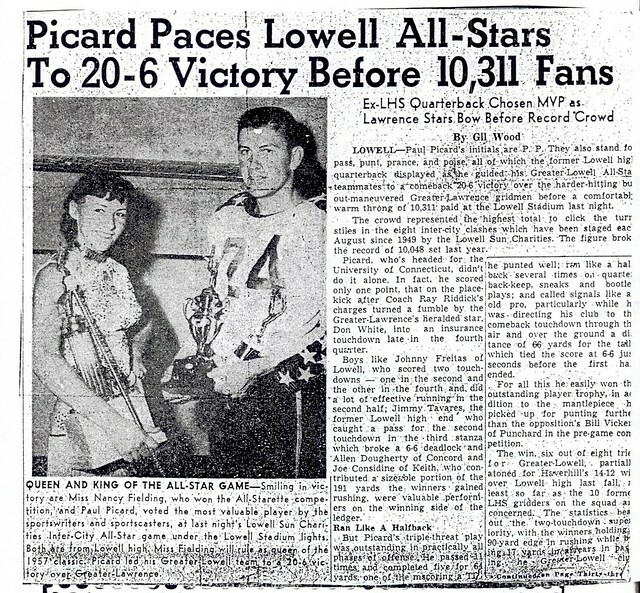 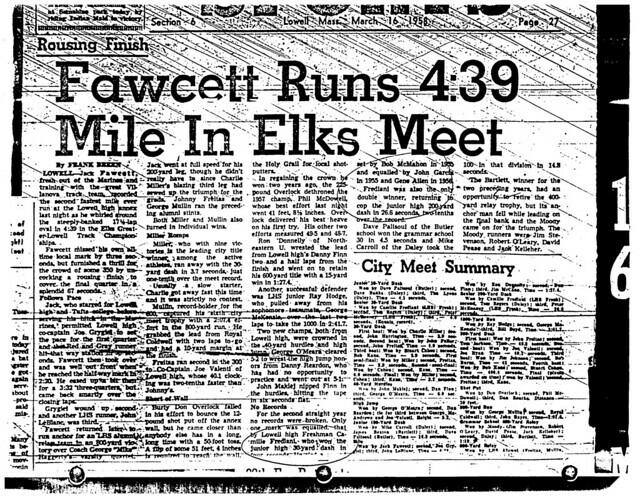 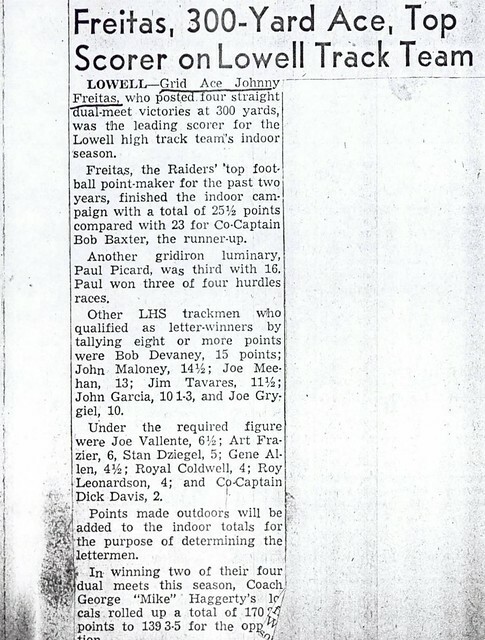 His overall career total of 191 points established a Lowell High School record that still exists 40 years later. 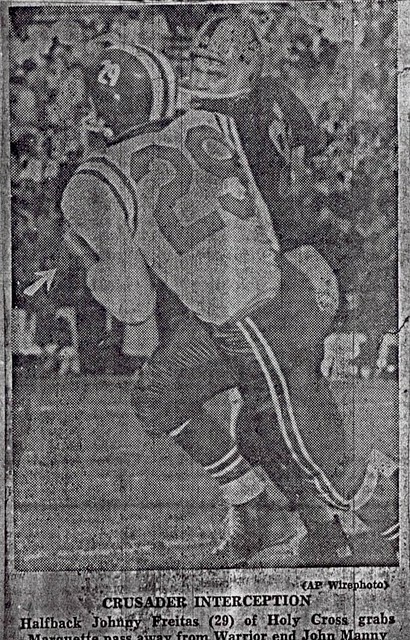 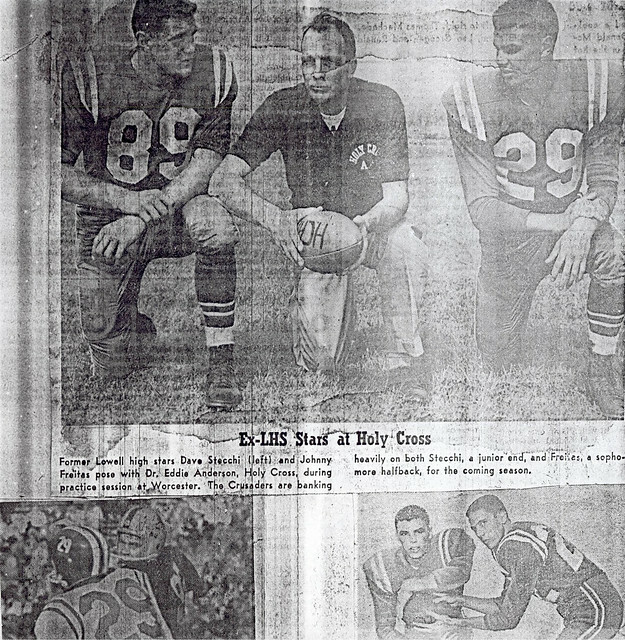 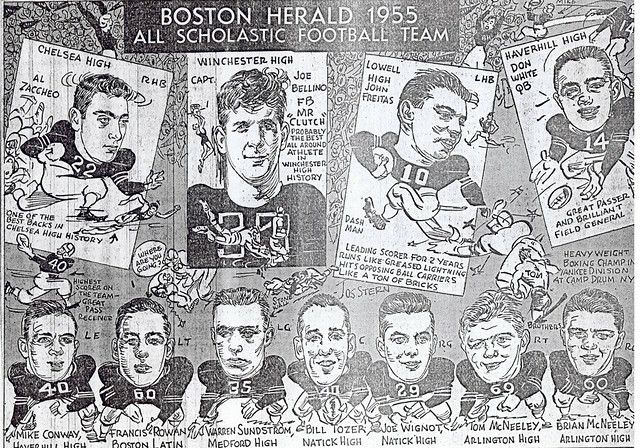 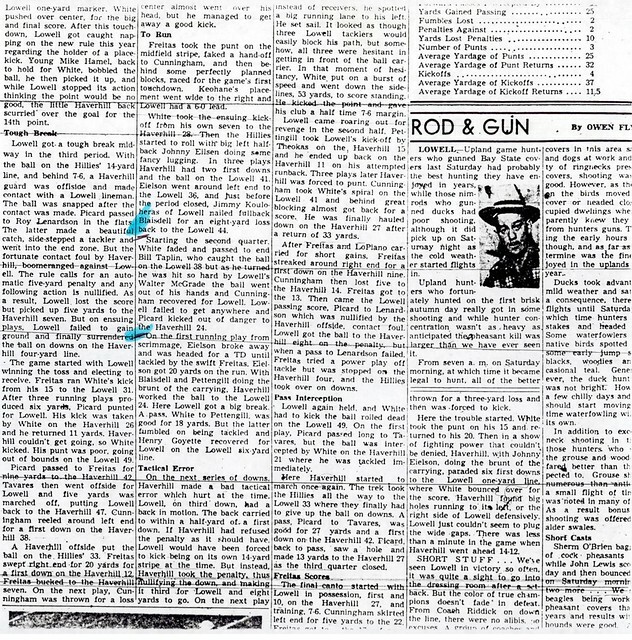 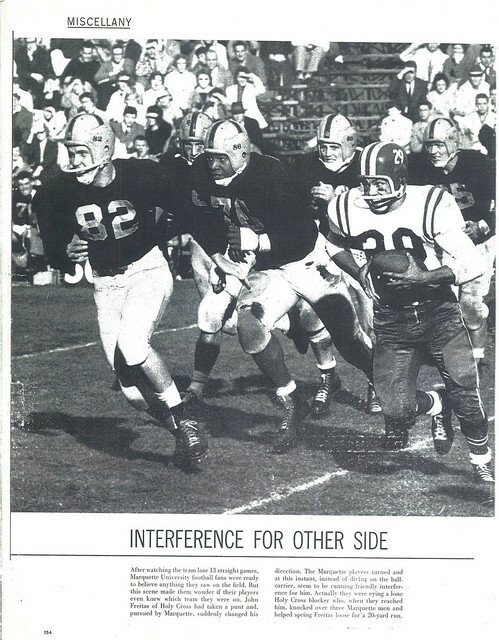 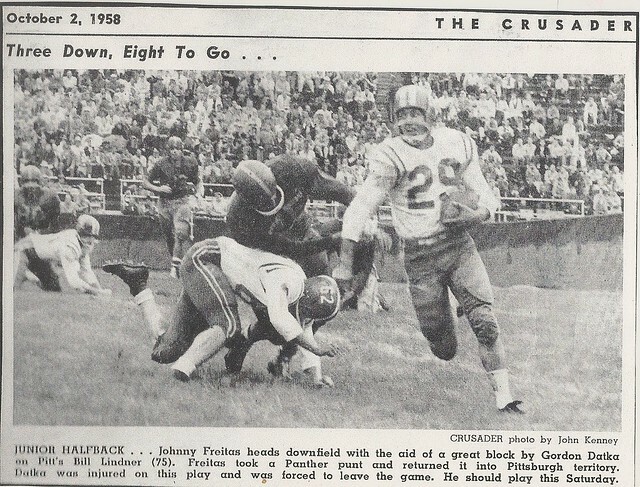 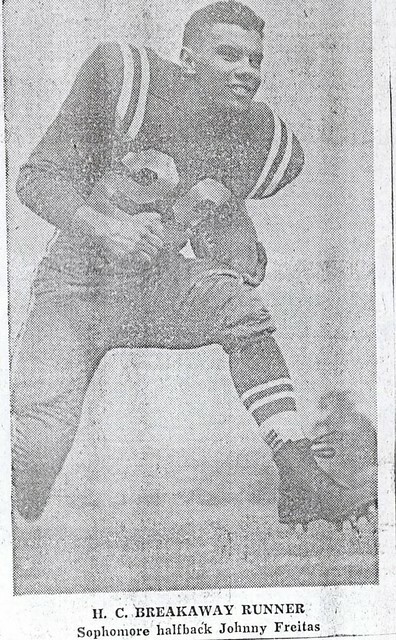 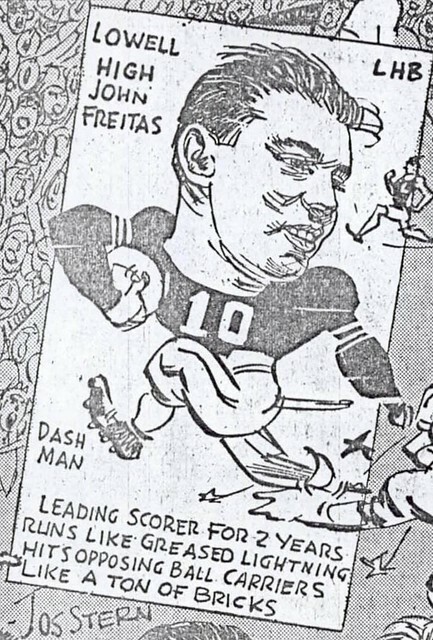 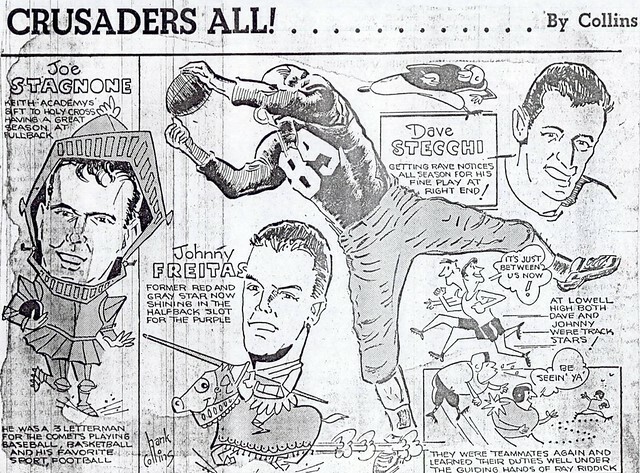 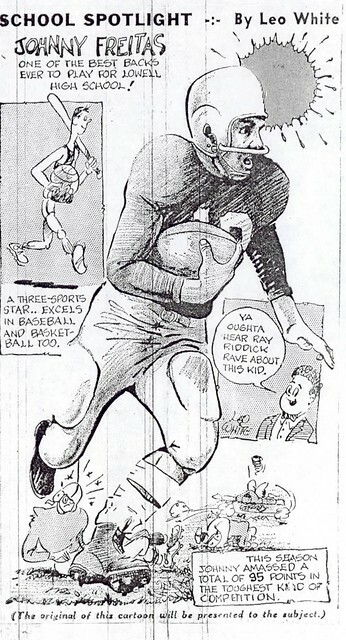 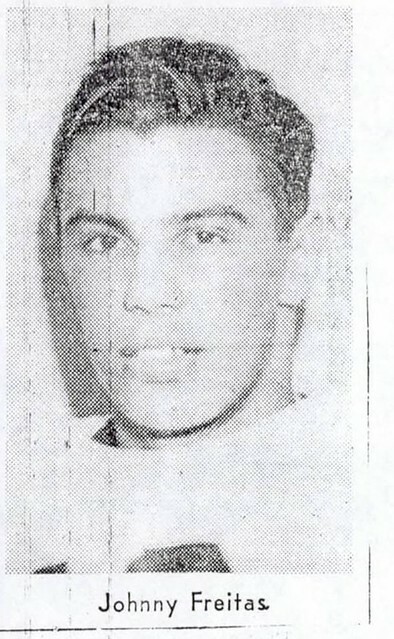 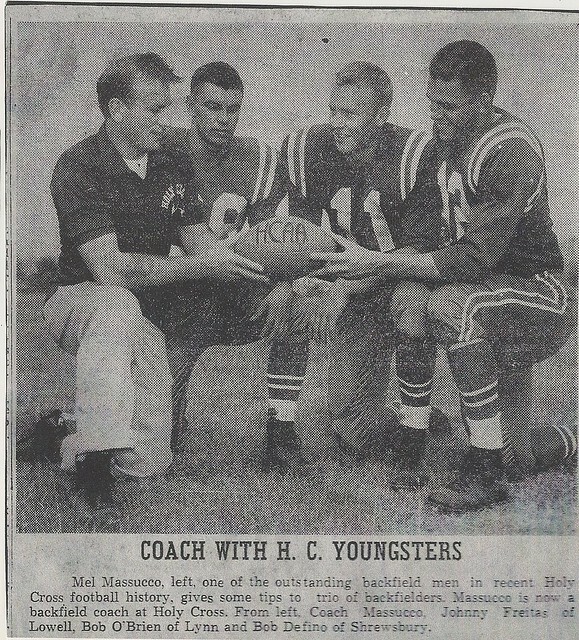 John, who had several 3-TD games during his career, won numerous awards, capped by his selection as a consensus All-Scholastic halfback in 1955. 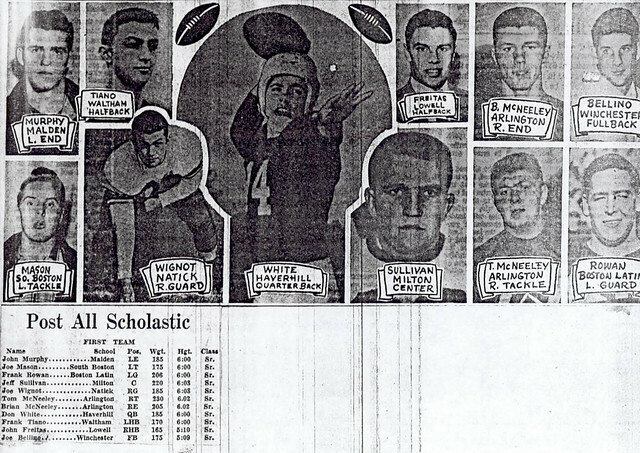 During his three years, the footballs eleven compiled a stellar 26–1 record. 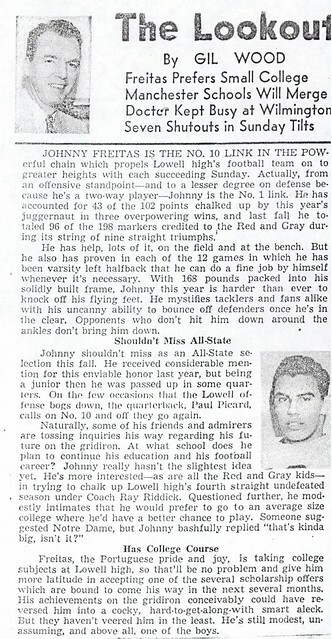 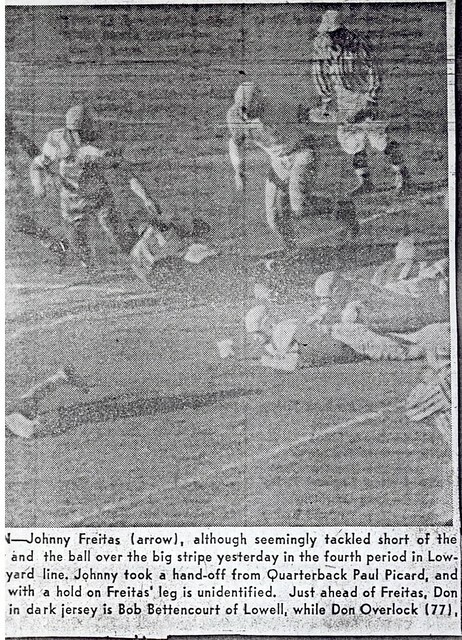 John carried his speed to the track as a 300-yard specialist, compiling an undefeated record for the Red & Gray during the 1955–1956 season. 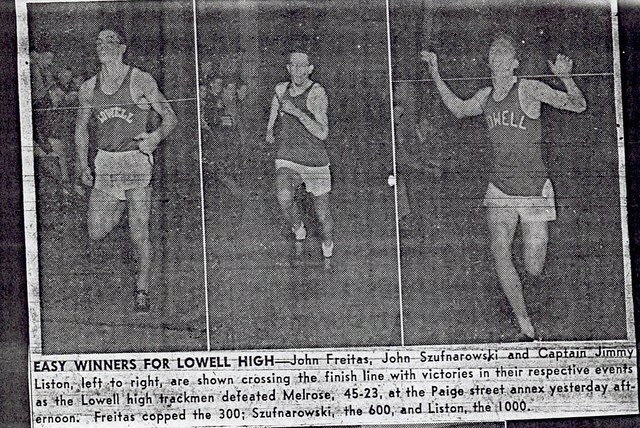 John was voted the Outstanding Athlete at Lowell High School during his senior year. 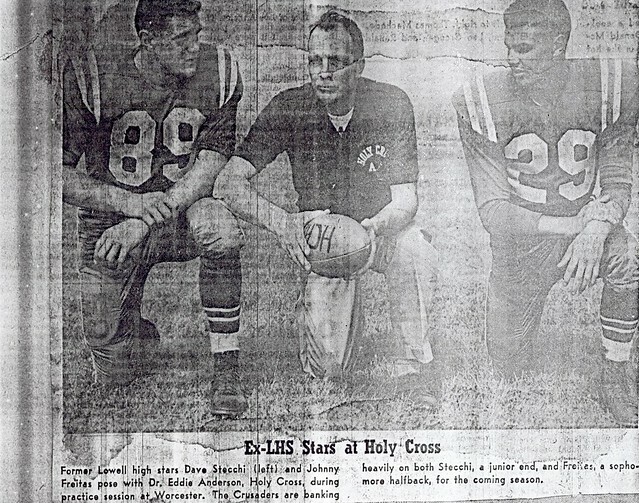 After high school, John played four years of football at Holy Cross College under the tutelage of legendary Coach Dr. Eddie Anderson.